It was the "rumor" that sparked a whole host of unnecessary commentary, but it was something to talk about for the day. I truly believe hockey withdrawal has set in to full effect. I'm sure he's a very reputable source, but I almost did a spit take laughing yesterday. 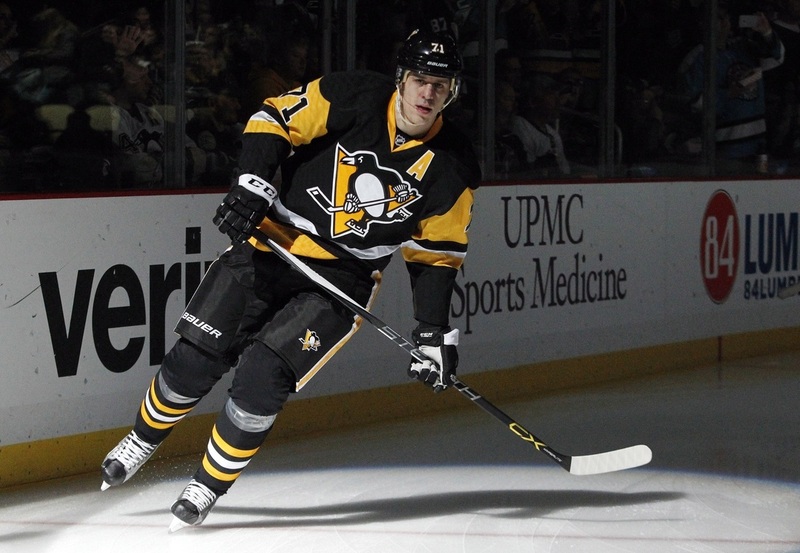 There's absolutely no shot in Hell that Chicago could get Evgeni Malkin. The rumor is almost as asinine as if someone were to report that Sidney Crosby told management he wanted to leave for the Philadelphia Flyers. But, for boredom's sake, let's say this deal were imminent. Let's play fantasy general manager. Now, for the sake of it, let's forget about exact salary retentions and conditional draft pick compensation nonsense. Frankly, I feel it would only complicate this absurd post. For me, there's one trade I would make with Chicago if in fact I wanted to move Malkin and they wanted to acquire him. Again, pure fantasy based, but would you not offer this trade? Sure, you could be super greedy and ask for Jonathan Toews or Patrick Kane, but we know that's a pipe dream--as is mine. In this scenario, Chicago would add another offensive dynamo who would create all kinds of match-up issues for every team in the league plus another first-round pick. Pittsburgh would add arguably the best defenseman in the league not named Kris Letang for several more years at a relatively cheap cap hit, a forward whose upside is the sky and a decent pick to work with in the future. The delusion has set in for sure, but it's always fun to dream these things up. Your turn, fellow Penguins fans. Let's say you're going to trade Evgeni Malkin to the Chicago Blackhawks. Who do you want in return? Comment below! This post is just going to be a quick hit on some former Penguins, who are unrestricted free agents, that I think, and believe, could be good candidates for redemption with the organization. Some players never really had an opportunity or maybe played under a different system that did not allow them to shine, but I feel could adequately fit in this system. Hindsight--and at the time--you know the Penguins ultimately won the trade that sent Alex Goligoski to the Dallas Stars in exchange for James Neal and Matt Niskanen. However, while both players have departed from the Penguins, Goligoski has developed nicely in the Big D and become a coveted Top-4 defenseman in the league. Currently with the Arizona Coyotes, and probably looking for a contract of over a $4 million AAV, there is absolutely no way the sharpshooting defenseman could return, but it would be cool, eh? Let's be honest, for as much dumb play as Steve Downie brought to the Penguins, he had a good year with the Pens in 2014-15. Better than many expected. Playing in Arizona this past season at a cheap price, Downie did not contribute as prominently as a year ago. We Pittsburgh fans love to have that one reckless tough guy on the team just as an insurance policy. Hell, many were thrilled when Tom Sestito would get called-up from Wilkes-Barre/Scranton. Downie could be a nice, cheap signing and maybe under Mike Sullivan could find another gear to his game. Once touted as one of the better young defensive prospects for the Penguins, they ultimately lost him to rival New York Islanders where he developed into a hard-nosed, gritty blue liner. Under the Dan Bylsma reign, Strait never saw a ton of ice time or minutes with the big squad, but he could be a nice depth addition if both Ben Lovejoy and Justin Schultz do leave on July 1st. Like I mentioned with Downie, we love mayhem. So let's get Bobby Farnham back! Farnham was picked up off of waivers by the New Jersey Devils and contributed to a much higher level than any had anticipated. He's a fiery guy who will throw hits, skate like a maniac and get his team going. He's already built up a bit of a cult following in Pittsburgh during his short call-ups and I believe could easily slide into the fourth-line without any issue. To me, Conor Sheary was this year's Brian Gibbons, just a bit more successful. Gibbons was beloved for his speed and tenacity, however, never quite had the offensive finishing prowess that was to be desired. When he departed, many within the fanbase were concerned with his departure, simply for his speed. Boy, were those concerns halted with the emergence of Sheary and Bryan Rust. Gibbons, I think could flourish in this system in a limited role. He would be a player that could play in the AHL, be called up when the inevitable injuries take place and contribute a bit here and there offensively. A cheap re-signing, why not? Essentially, reread what I wrote about Gibbons. Kennedy was a fixture on "The Third Line" when Jordan Staal and Matt Cooke called Pittsburgh home and was a decent accent to that line. He's feisty, can score, and can still skate. The 29-year-old may not find his way back to the Burgh, but he'd be a nice depth addition. Megna showed glimpses of breaking out with the Penguins on several different occasions, but could never find a way to get it done. I believe those in the Shero regime were pulling for the kid, but were disappointed time and time again. This past season with the Rangers, Megna had another fifteen minutes of fame after a good little stretch. I believe he can still play in this league on a full-time basis, but with this Penguins team, he'd be a great depth piece who could contribute in both the AHL and NHL when called upon. Because dammit, I like the guy. I may be the only Penguins fan that did--or does-- but I loved Sill and everything he had brought to the organization as a whole. He'll always be one of my favorites, so this is clearly a selfish plug, but it's my page and that's that. Of course there is a ton of work and consideration that goes into free agency, the ordeal with Marc-Andre Fleury, and a host of other concerns that even we fans don't know about, but it would be pretty cool, in my opinion, to see a couple of these guys make a return. The one thing I believe with this team is that--aside from speed--is they are resilient and determined to prove everyone wrong. This list of players encapsulates those qualities. Who knows what will happen, but out of this list, I feel that they should make a strong run at Strait and Farnham. They're probably the two most affordable, productive names that could be brought in. I will start with this first to give some background of what I'm about to write. Josh Yohe's "Lovejoy, Cullen, Schultz could all leave as champs"
If you haven't subscribed to dkpittsburghsports.com...then I honestly have no clue what you're doing. I'm going to try to keep the following sections short, but I do tend to ramble. Here we go, nonetheless. The quotes that "Benny Quotes" provided in the article above sound like a man who is leaving, but also that of a man who would do anything to stay in Pittsburgh. Lovejoy played admirably in the final stretch of the regular season and all throughout the playoffs. I will admit that the trade that sent my personal favorite Penguin, Simon Despres, to Anaheim for Lovejoy riled me up. Not because I didn't like Lovejoy, but because I didn't see the sense in the trade. Also, I was quite hard on Lovejoy at the beginning of the season, in particular the game I saw live in Newark against the New Jersey Devils where they were absolutely embarrassed, 4-0. He, from that point on, turned his game around. Again, I have to apologize. In a perfect world, I think Lovejoy resigns a two-year deal at roughly the same cap hit ($1.1 million). He is deserving of a raise and being a right-handed defenseman, his value will skyrocket. My Verdict: Sadly, I don't see him sticking around, however, I'm hoping like hell he does. I don't think you can argue with that gap-toothed smile of Justin Schultz's that he's having a blast in Pittsburgh. The Penguins were a team on his radar when he initially signed to play in the NHL and he's made no bones about it how much he's enjoyed his time and wants to stick around. I think he is the most important free agent on this team and ​needs to be resigned. Of course, boasting a $3.9 million cap hit that would have to be qualified is going to make him sticking around a much tougher task. Do you let Schultz hit the free agent market and restructure a deal? May be the best way to go about it. How much interest will he garner? I'm going to safely say a ton. My verdict: I think he stays. It's honestly a fifty/fifty scenario, in my opinion, and I believe that a Fleury trade (which I don't agree with) would be the biggest factor in if he sticks around. I'm hoping the Penguins find a way. As much as I love Cullen and what he brought to the team, his durability and mentorship to everyone on that roster, what better way is there to go out? 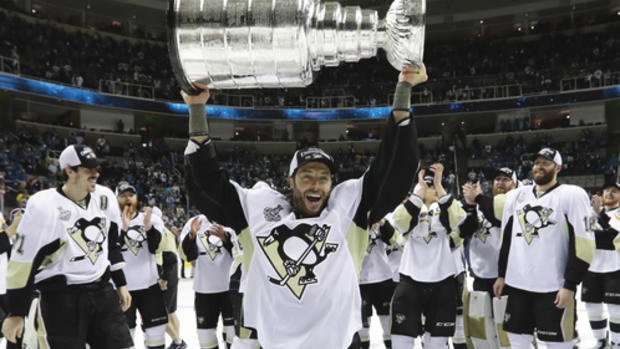 I have no doubt that he could play another season, but after a helluva run with a late signing, fans complaining about adding an "old man" to the roster and then proving everyone wrong by playing in all 106 games the Penguins were in and hoisting the Stanley Cup for the second time in his career, there's no better way to call it a career. My verdict: Enjoy retirement, Mr. Cullen. You deserved it and were such a valuable piece to this Penguins team. You left it all out on the ice and you can ride out as a champion. Apparently, Bennett will be brought back for one more year. At a cheap cap hit of under a million, again we say, just like we did last season, "why not?" The injury riddled, confidence raddled winger has--or should I say had--a great upside. With several shoulder injuries, some of the hardest to truly recover from, you have to wonder what Bennett will bring to this team, if anything? Even if fully healthy, I don't know how much he'll crack the lineup, but depth is never a bad thing to have. My verdict: Give him one more chance. As much as he loves to throw hits, he should probably change his game up so he doesn't have to do so...or maybe just hit with the other shoulder. Hoping for the best for Sunshine. Who do you want to re-sign with the Penguins? It absolutely boggles my mind that fans are so quick to trade a true franchise goaltender. Marc-Andre Fleury, who undoubtedly will be the biggest off-season story for the Penguins, is a No. 1 netminder. He is the winningest goaltender in Penguins history, has 99 playoff victories, two Stanley Cups and an Olympic gold medal. He's been the heart and soul of this team for over a decade and his one of the more beloved Pittsburgh sports figures of the past twenty years. "Matt Murray!" someone will inevitably yell. Ah, yes, Mr. Murray. 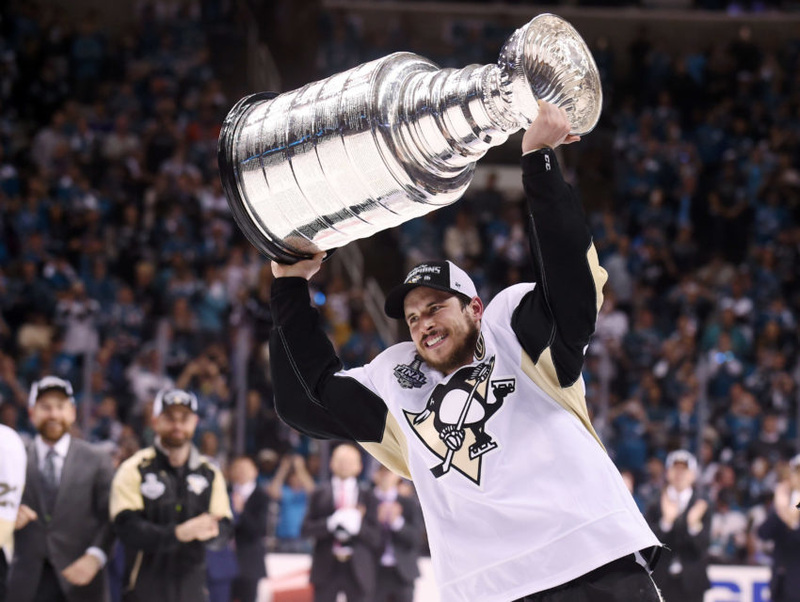 The 22-year-old rookie sensation whose 15 wins earned the Penguins their fourth Stanley Cup in franchise history. The Thunder Bay, Ontario-native who is as cool as the other side of the pillow and had one of the most amazing playoff runs in recent history. While I believe Murray is the goaltender of the Penguins' future, it is not the immediate future. Fleury is in the absolute peak of his career and has played better each and every season for the last four campaigns. Had his concussion not kept him out of action for so long, I still believe the Penguins would have won the Cup with him between the pipes. Lest we forget, too, how Marc-Andre Fleury single-handedly kept the Penguins in the race until his injury. Without his amazing performance--which was not nearly as praised as it should have been due to lack of goal scoring--there is no Matt Murray legend created this year. Fleury, the first building block of the core foundation we have come to love as fans, is just as beloved by his teammates. We were all choked up when Jordan Staal was traded and when Pascal Dupuis retired, but Fleury has meant so much more to this franchise than the aforementioned, respectively. Murray is great, there is no doubt about it, but he does have flaws. For instance, how many times over the regular season and playoffs did Murray let in either the first or second shot on net? How many weak goals did we see during the playoff run? And lets face it: he hasn't had to shoulder anywhere near the load that Fleury has on his lightest work schedule. I believe Matt Murray could be the next Carey Price, just more successful. He has that ability to become the greatest goalie in the game, but we should not be blinded by his one brilliant post-season run. It's an exceptional sample size, but it's still just that. Marc-Andre Fleury is a heart and soul guy, he's who the rebuild was centered around. Plus, why would you want to trade him when he and Murray could prove to be the best one-two combination in the league?! Lastly, let's say Fleury was to be traded before the start of the season. What other goaltender could be an adequate back-up? Who's to say Murray doesn't regress a bit. Of course, there's the Expansion Draft we'll have to be concerned with, but that's in a years time. It's not immediate. There's too much that could go wrong with a trade of Marc-Andre Fleury. 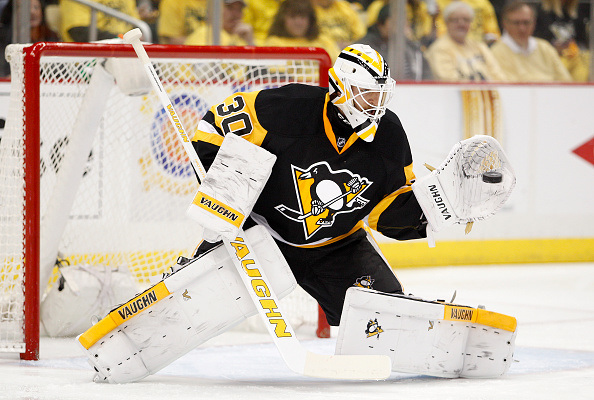 If Murray proves himself again this year, than maybe Fleury is out next season. But as for the 2016-17 season, with a strong chance to repeat, how can you justify moving him? Is there a more fitting word for this 2015-16 Pittsburgh Penguins squad? I don't think so. How about words? I have three. This season start with a lofty, albeit obtainable expectation that this team could easily win the Stanley Cup. They made the acquisition to get star winger Phil Kessel. They acquired Nick Bonino in a trade that sent away fan--and teammate--favorite, Brandon Sutter. The team was healthy and rested and fired up and everything looked to be in favor of the Penguins. However, many analysts at the beginning of the year thought they would struggle. "Not enough puck to go around" was a common theme I had read and heard. For the first half of the season, maybe that was true. Or maybe it was the fact that despite the unbeatable paper team they had created, they were very easily defeated on the ice many nights. There was no identity. There was no desire, at least that I could see. There were so many nights where it looked like they were playing for a paycheck rather than each other and it showed in the way the players were handling themselves. There was defeat in their eyes. Thank god for Marc-Andre Fleury for those first two and a half months. And don't any of you forget it. 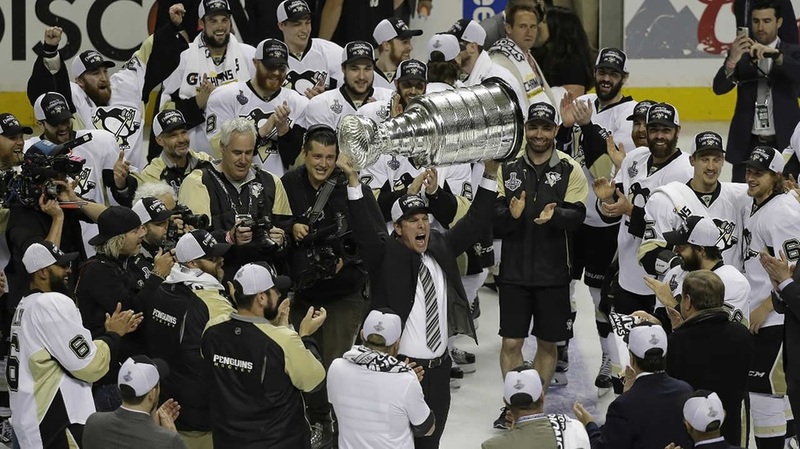 It was in December when former head coach Mike Johnston became just that; former head coach. Enter Mike Sullivan and enter a world of change. When the Penguins made the acquisition of Trevor Daley for Rob Scuderi, I, along with everyone else, was absolutely stunned that deal was ever accepted. One of the first cases of unpenalized larceny I've ever witnessed. When the Penguins made the acquisition of Carl Hagelin for David Perron and Adam Clendening, I was furious. I am a huge Perron fan and didn't see the point in trading two players for one. I guess that's why I'll never be an NHL general manager. When the Penguins called up Conor Sheary, Scott Wilson, Bryan Rust, Tom Kuhnhackl, and Matt Murray, I was sure that one of them would make a huge impact. Care to take a guess on the obvious? All of these lineup changes in the season proved to be the exact turning point that was needed. Speed, speed, and speed. There was a youthful exuberance brought to the club. Every player upped their game. And must we recap the crazy ride we've all just been on? I don't think so, simply for the fact that we're still riding on that high. For every moment of doubt I had in this team, I take it back. For every time I faulted one player or singled out another for poor performance, I take it back. I started watching the Penguins in 2007-08 and that is still my favorite team. Don't get me wrong though, this team is absolutely special. This team is absolutely special. The hardships and pressures they battled through all season long prove that they are from the Steel City. Every single player on that roster, playing in the Finals or watching from the press box, made invaluable contributions to this championship team, no matter how large or small those contributions were. This team is absolutely special. When you look at the character they share on the ice and off, the bond they have formed with one another, you can't help but feel that they are a part of your family. Yes, we are fans, but we've adopted this team and we stuck with them for every step of the way, no matter how rocky the path got at times. This team is absolutely special. Looking at the roster, this team, in its entirety, will be returning. I have no doubt in my mind that Justin Schultz and Ben Lovejoy will return. I have no doubt in my mind that Marc-Andre Fleury and Evgeni Malkin are staying pat in Pittsburgh. I have a sneaky suspicion that Matt Cullen has one more go in him. This family will not become divided next season. This team is absolutely special. 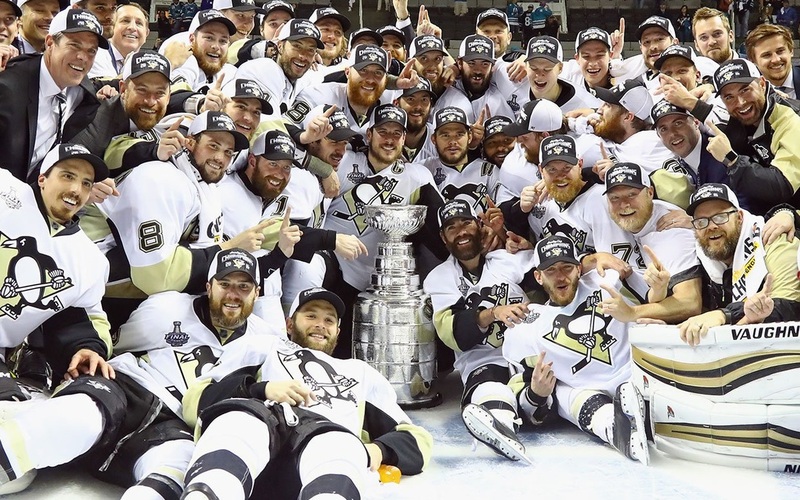 They are resilient, fast, bonded as a family and they are, and will forever be the 2016 Stanley Cup Champions. ​Born and raised in Pennsylvania.